This month’s free MultiTrack is Desert Rain by Chase Wagner and Ben Hardesty from Common Exchange, an online platform for a growing movement that emphasizes the priesthood of all believers, that the church is a community in which everyone has a part to play, a story to tell and an idea to share. This movement is beginning to yield a growing community of worship leaders, songwriters and producers that have a desire to create worship songs that work well in smaller communities, meaning that production serves the song and not the other way around. Familiar names on the site are United Pursuit, Aaron Keyes, Micah Massey and Stuart Townend but there are plenty of other contributors worth watching out for too including a few Brits like Matthew Macauley and even Musicademy regular, Matt Weeks. Most Common Exchange recordings are stripped down acoustic versions designed to be accessible for smaller congregations, so by nature aren’t suitable for a MultiTrack format, but here Chase has given us access to his fabulous pop based, MultiTrack version full of great sounds and perfect for use alongside your worship bands. Check out this link for a more acoustic version of the song, as well as lyrics and a free downloadable chord chart. 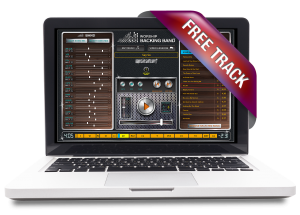 Get the free MultiTrack here. Remember you’ll need a copy of the MultiTrack Player for PC or Mac to play it on. We hope to be featuring more songs from Common Exchange in the coming months so do have a look around the site and see if there are any songs you like that we can feature!